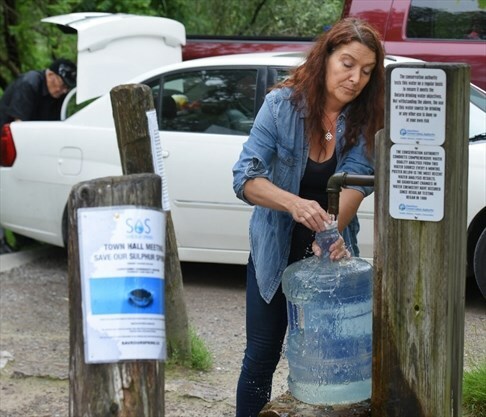 Users of a popular artesian well in Ancaster have backed changes proposed by its steward to sidestep new provincial regulations for arsenic. The Hamilton Conservation Authority’s strategy involves fencing off the Sulphur Springs well, selling $10 key cards to swipe at its gate and posting warning signs. The changes are meant to satisfy the province that the well doesn’t serve as a public source of drinking water, explained Lisa Burnside, the authority’s chief administrative officer during a forum at the Copetown Community Centre Tuesday night. “Under the changed operation, they wouldn’t consider it a small drinking-water system,” Burnside said. The rub is arsenic levels detected in the well aren’t expected to meet the province’s new more stringent regulations coming into effect in January. The future guidelines lower the maximum for arsenic levels to 10 parts per billion from the current 25 parts per billion. The Ancaster well has consistently tested at 17 parts per billion, Burnside said. Hamilton’s public health department informed the conservation authority the stricter rules were in the offing and advised it to address the well. “So we’re in a difficult position,” Burnside said. Conservation authority staff initially decided it was best to close the well, but its board of directors opted to table that recommendation to explore options, she said. Users of the well, which mostly draws people from the area but also farther afield in the GTA, prefer its water to chlorinated and fluoridated city water. It served as the former Town of Ancaster’s main source of drinking water until the 1970s, when the municipality hooked up to Lake Ontario. A majority of roughly 100 well users at Tuesday’s community meeting voted to endorse the authority’s solution in principle. 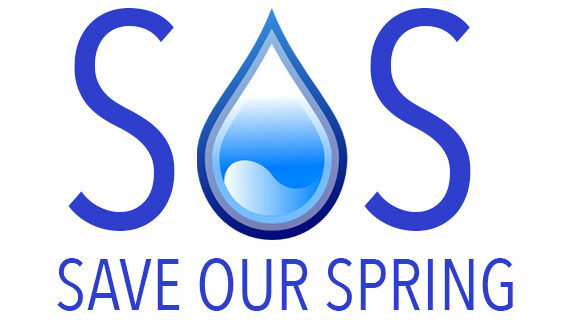 That support, however, still leaves the door open for changes down the road, says the steering committee of the Save Our Spring group. “So the work’s not done as far as I can see,” said committee chair Chris Krucker. Ancaster Coun. Lloyd Ferguson told the crowd the conservation authority solution assured users would continue to have access to the well when the new regulations come into effect. “So we have a solution for you. It would be great if you jumped aboard with this instead of poking holes in it,” said Ferguson, who sits on the authority’s board. Skeptics of the card-and-fencing plan, however, expressed concern the well wouldn’t be kept open to everyone in perpetuity and took issue with the $10 fee. David Murray said the fence “breaks the covenant in the deed,” arguing the federal government ought to be approached for its approval of arsenic levels in the well. Burnside said public health supports the authority’s solution.